LOCATION, LOCATION, LOCATION! 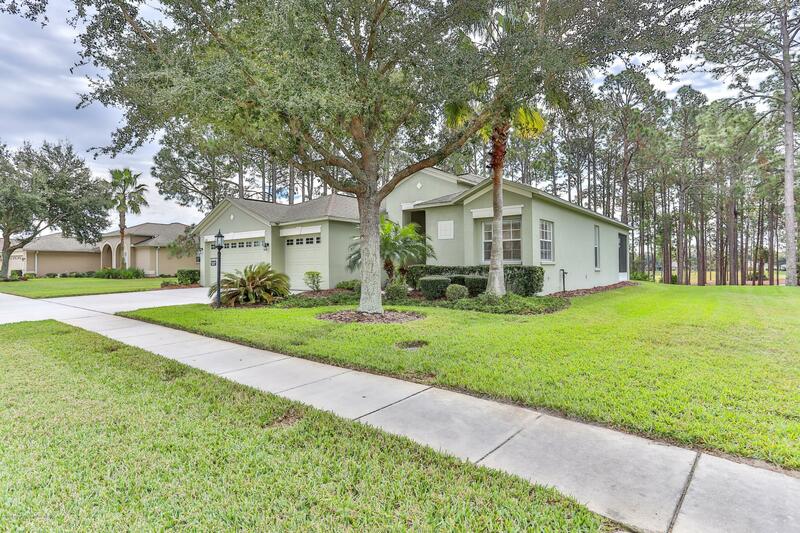 Not only is this home located in the upscale, gated, golf, 55plus community of Heritage Pines. THIS home looks through a wooded area to the golf course AND is located on a cul de sac. Original owner seasonal home. Triple split; three guest rooms, two guest baths, master bedroom, tray ceiling, & bath. Walk in shower, walk in closets. Formal living and dining room, large eat in kitchen w/closet pantry, corian, 42 in cabinets, overlooking the great room. A blank palate with neutral tile, carpet, and walls. Inside laundry with sink and cabinets. Private screened lanai overlooking golf course through a large buffer of trees. This one looks just like new ready for your decorating touch. I am interested in 11126 Pebble Glen Way, Hudson, FL 34667.